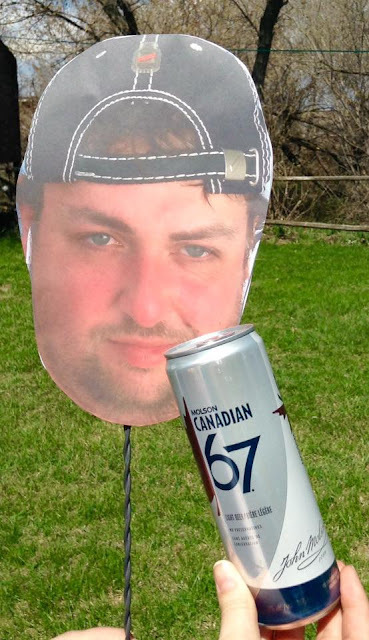 Yesterday, I tried Big Rock's McNally Extra Ale, which was pretty good. 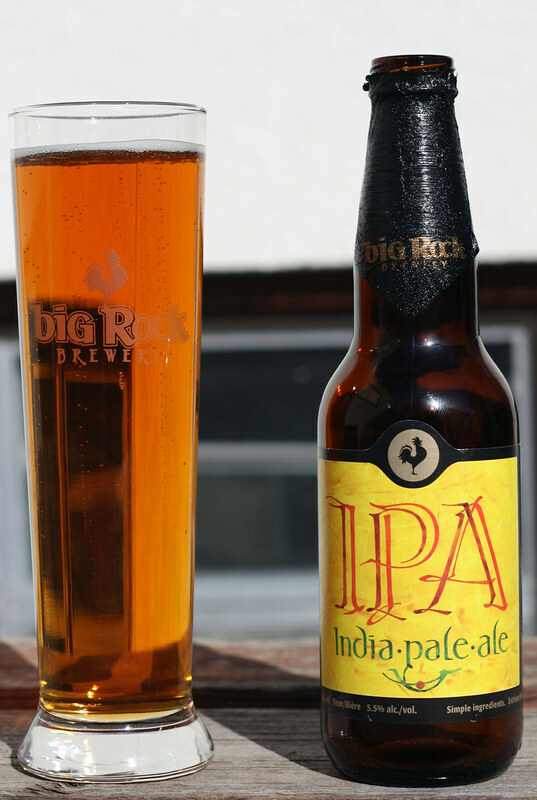 Today I finally get to try Big Rock's India Pale Ale. I can tell how well a brewery is just by trying their IPAs (if they have one). If it's something like Keith's, then it's obviously not an India Pale Ale. Appearance: Like the extra ale, it's your standard 341mL longneck bottle, with a black foil top, similar to what Unibroue does to their beers. Pouring the beer.. wow, it was the most lager/light ale looking IPA I've seen in a long time. I'm used to a darker hue, but it still isn't Keith's. Nice amount of foam. Aroma: Slight citrus aroma, as well as a nice hoppiness that my nose enjoys. 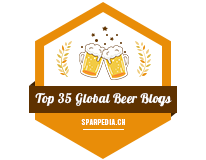 Taste: It's lighter in flavour than the average IPA. Your mouth will not be getting zinged by an abundance of hops, but there the hops do compliment the flavour. It lacks the citrusy taste we're used to in beers like Garrison's Imperial IPA, actually.. I take that back.. I can taste it, just very minimal. This is a beer I could see someone going to a pub to watch a hockey game, wants to try something new but doesn't want to be too adventurous. Value: Just over $2.00 per bottle, so it won't break the bank. It is 5.5% ABV. I'll buy it again if I'm craving Big Rock, much better than their Grasshopper.